Not your hair?? Try our Rosemary 2-in-1-Shampoo to give volume & rootlift instead! Does shampoo give you a dry itchy scalp ? Also suitable to replace your shaving cream. Our handcrafted, naturally-derived, 100% biodegradable, pH balanced Lavender 2-in-1 shampoo is designed for customers who’s hair is generally thicker, needing extra condition and settling to look it’s best. Usually no need for our Leave-In Conditioner unless your hair is long, flyaway, chemically treated and/or damaged from colours and perms. FIGHTING THE WAR ON WASTE – buy bulk and decant into our re-usable no waste 200ml bottle. NEW! 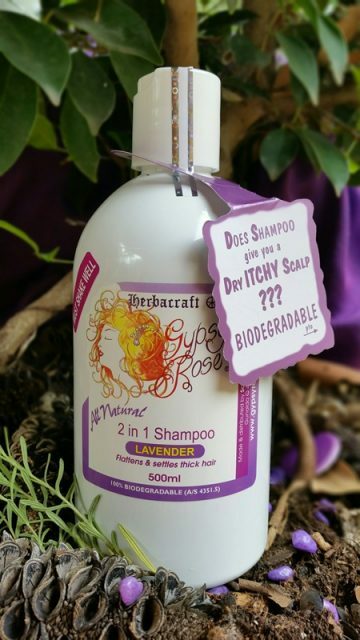 1 Litre 2 in 1 shampoos, Kombucha Shampoo Bar for Body & PET Range! Lavender essential oil is an one of the top aromatherapy essential oils. It is well known to nourish hair, moisture scalp and strands. It may also aid in helping the prevention hair loss through shedding. Widely known and well documented to have powerful antiseptic qualities that may assist in treating scalp issues, which as a result can also improve blood circulation of the scalp and encourage hair growth. Most noteworthy contains the mother culture of beneficial bacteria that turns regular apple cider into vinegar in the first place. This is therefore similar to the mother in Kombucha Culture fermentation. A culture “the mother” is a complex structure of beneficial acids that appears to have health benefits. Unrefined vinegars have a murky appearance and typically still contain the mother culture. Containing the “mother” culture of apple cider vinegar means its a great hair tonic, and highly recommended as a hair product for increasing hair shine. White and pasteurized vinegars do not contain the mother culture so are not as beneficial for hair and skin products . The product is designed to lift oil and dirt from the hair in the first wash. It will not lather on first wash like traditional commercially available shampoos. On the second wash, you will notice a flatter creamy lather. This lather is designed to cleanse deeply and give sheen and remove build-up. It is known to remove green/matt overtone from swimming in chlorine pools and yellowing colour in grey/white hair. First time using you must do 3 shampoos in the first wash to get appropriate lather, it will remove build-up. should you have a break from Gypsy Rose 2-in-1 shampoo you must still do 3 shampoos in the first wash. No need to shampoo as often as you do, so try leaving it an extra day. The double action salt shake is the way to apply our shampoos to your hair. It’s a double action movement, quickly up and down, that resembles the action of shaking salt onto a meal. For short hair : always do 4 double action salt shakes over four sections of your head each shampoo. For medium/shoulder length: do 6, 4 on head and 2 on shoulders. For midback and long: do up to 8 depending on length, applying midback and on very ends. No need for as creamier lather on longer midlenths and ends as the lather from scalp will wash down. QUESTION: My hair feels crisp when wet – do I need more conditioner? By their very nature, Gypsy Rose Shampoo’s are different from commercially available shampoos & conditioners so this is a normal feeling. Don’t judge the softness of your hair until it is fully dry, the cleansing action of the unique shampoo will make the hair feel crispy when wet and it pH balances as it drys, leaving it soft. If you have long, chemically treated and/or damaged from colours and perms you will need our appropriate type Leave-In Conditioner. No matter what type of shampoo you are using you can mix and match- Rosemary for slightly dry , Lavender for extremely dry and tangled. We suggest that you always use a wide tooth comb, to remove the tangled ends first working up from bottom to crown. This will avoid creating split ends. The Gypsy Rose Leave-In Conditioner/styling aid is for use on wet or dry hair , but is also a hair treatment of which you can saturate the whole head/scalp for a deep conditioning. Ideal to do a hair treatment once a month whether you need it as a Leave-In Conditioner with shampoo or not. The Gypsy Rose range is proven 100% bio-degradable (A/S 4351.5) meaning it breaks down in the earth 100%. Which is what certified A organic usually means, but unfortuanately certified organic hair and skin products have a loophole of 5-15% whereby they are allowed to use this amount of uncertified organic ingredients in their formulas ie. emulsifiers etc . 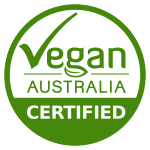 We choose to not be associated with this type of certification and pride ourselfs in our clean 100% bio-degardable ingredients list to market our fermented products. PLEASE NOTE: The first time you use the Lavender 2-in-1 Shampoo you MUST do 3 shampoos to get a lather and remove build-up, thereafter just 2 shampoos per wash. Allow 2 week trial. shake the bottle from side to side to release the sediment that settles on the bottom – be aware that if shaken for a long time, the product may burst out when you push the disc top open. Massage into scalp and hair then rinse. Usually there is no need for conditioner, as this product is pH balanced both cleanses and conditions your hair as it drys. After 2 week trial if you still feel crisp when hair is dry, you can use our appropriate Leave-In Conditioner to suit you – Rosemary for slightly dry, Lavender for extremely dry and tangled. To prevent build-up and avoid scalp problems (ie. including combination of sweat, oil and dirt), please wash your hair at least twice per week. SHORT HAIR: 1 double action salt shake directly onto 4 cross sections of your head. PLEASE NOTE: Do not worry about waste of product when you do a salt shake – it is a controlled lid dispenser that limits the amount of product expelled. Consider decanting the 500ml bottle into the 200ml bottle as it has smaller lid holes and decants a smaller amount of product per “salt shake.” A 200ml bottle will last approximately 8 weeks on short hair. Do not use any conditioning shampoos on day of colouring your hair including our Gypsy Rose. The conditioning affect will stop the colour from penetrating hair shaft. 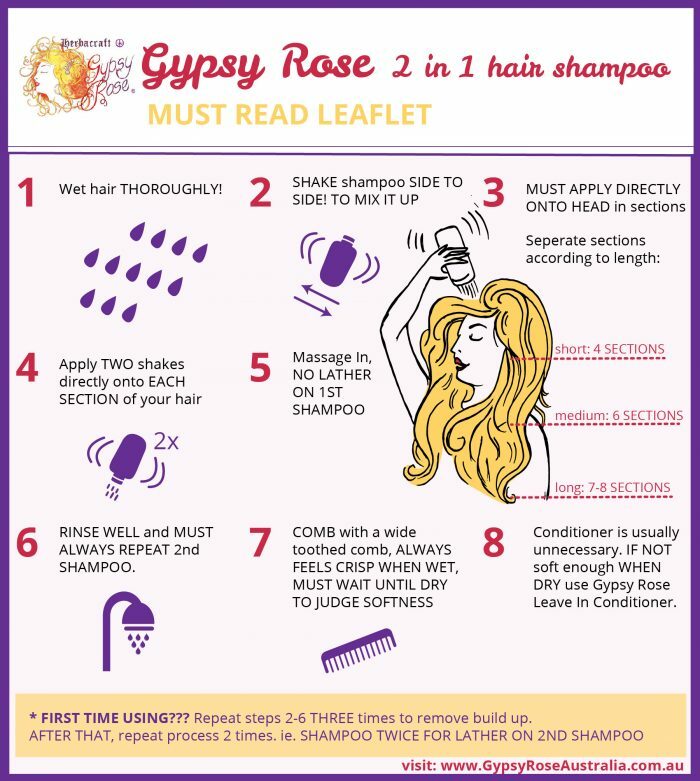 If you are using Gypsy Rose 2-in-1 shampoo then on the day or day before you are due for a colour, use a normal non-conditioning shampoo. Gypsy Rose 2-in-1 shampoo is ok to shampoo out the colour after processing time, in turn pH balancing your scalp and hair. For more information, see also the Frequently Asked Questions tab. All Gypsy Rose products are handmade in Australia using cold pressed oils and 100% essential oils, fruits, vinegars, teas and filtered rainwater from Australian ingredients. Please note: We always source Australian ingredients wherever possible, but sometimes this is not possible.